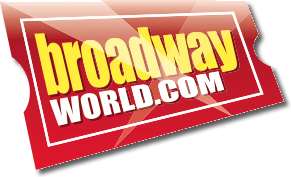 South Florida resident Ben Krieger, age 12, is flying into Florida for the final stretch of his two-year professional run as a traveling actor in Broadway national tours. Ben currently plays the roles of Peter Llewelyn Davies and George Llewelyn Davies on the First National Tour of Finding Neverland coming to Orlando, Tampa and Ft Lauderdale this May/June. Ben accepted his first job with The First National Tour of Pippin the Musical on June 25, 2015 and will take his final bow exactly two years later on June 25, 2017 at The Broward Center for Performing Arts with Finding Neverland. In between, he also toured with The Sound of Music. Ben has performed in approximately 250 shows for more then 500,000 people in 38 cities across the US as well as performing in Japan for three weeks and Amsterdam for a month. Ben traveled for a total of 80 weeks in the past two years. Before leaving home, Ben was active at The Maltz Jupiter Theatre and StarStruck Performing Arts Center and was a student at The Arthur I Meyer Jewish Academy in Palm Beach Gardens. He has a sister Charlotte and a brother AJ. His parents are Gary and Tracie Krieger. Tracie is the owner of Tracie’s Music Together and Gary is a private wealth manager at Stifel Nicolaus in Palm Beach. Q: What have been your favorite cities and why? Ben: My favorite city on tour so far is Costa Mesa, California. I love the city because it is always warm. There are so many things to do from kayaking to rock climbing to even go-carting! On both The Sound of Music and Finding Neverland I came here and had the most amazing time! Mom: We are grateful for all the amazing places we’ve visited. Ben traveled to Amsterdam with Pippin the Musical . We all visited for a week and did evening boat tours in the canals, biking adventures in the city as well as hopped on a fast speed train and visited Paris for 24 hours! While in Denver, we did a trip to Breckenridge and enjoyed snow tubing. While in Chicago, we did rock climbing and speed boating. While in Buffalo with a chaperone, he went to Niagara Falls. While in Las Vegas with his dad, he did a quick trip to the Grand Canyon. Finally, he spent three weeks in Tokyo! I’m just so happy for him that he’s had this experience. For some of that, the whole family was able to join him. We are just so lucky! Q: How have you kept up with school? Ben: We have a tutor on tour that travels with us. Every day from roughly from 12pm to 4pm, we have school. Each kid is in a different grade and does different subjects. The teacher has to teach grades from 4th to 7th. I do an online program for all my lessons and assessments. Everything is right there on my computer. Mom: I am more impressed with Ben on this topic then anything else! He has managed to complete (almost) two entire grades doing Florida Virtual School with all As. He has taken all his core subjects: Math, Language Arts, Science and Social Studies online. He’s in high school level Algebra right now! He has even studied for his Bar Mitzvah on his own doing Skype lessons with the rabbinical intern at our synagogue. Ben’s maturity, responsibility, intelligence and talent blow me away. I am so proud! Also, the tour tutor has constantly provided great experiences on the road for the kids in terms of unique field trips. From Graceland to the San Diego Zoo to the Freedom Museum in Cincinnati to an underground tour of Seattle to the Rock & Roll Hall of Fame to a King Tut exhibit - just so many great museums and things! Lastly, he has done an amazing job of mastering his Uke skills on the road. He started a YouTube channel that has almost 1000 subscribers. He plays and sings awesome covers of pop songs. I think his next endeavor maybe a rock band! Q: Do you travel alone or with your parents? Ben: I usually travel with a chaperone. Usually the chaperone is a close family friend. On Finding Neverland, my chaperone was named Bernard. He was my camp counselor at a summer camp I went to. My parents can't come on tour with me because I have two other siblings and they both have jobs. They come visit me!!! Mom: Before we accepted his first job offer, we discussed this with Ben. We told him that IF he decided to purse this, that MOST of the time, he would have to travel with a chaperone. He didn’t hesitate all, he STILL wanted to hit the road. To him, there was nothing as fun as being in a show! We have missed him a lot. However, we have LOVED our special visits with him and are so lucky that we have found good chaperones and that he has been able to follow this dream. There have definitely been stressful times along the way with chaperone coverage, but mostly it was awesome. Ben’s brother and sister have visited on almost every single school vacation and my husband and I have taken turns doing longer visits with him. We are looking forward to having him home permanently but will always cherish this special time. Q: What are you most looking forward to once you are home? Mom: His siblings miss him a lot. I look forward to their permanent reunion! Q: How did you get started doing this? Ben: I started acting all the way back of early 2013. My sister was doing musicals at a theater in Stuart Florida called starstruck. One day I was in the backseat of my moms car and I was like "mom, Can I do a show with Charlotte?" My first show was Peter pan. From there I kept doing more shows each show became more professional and better part. Early of 2015 I got a manager and started auditioning professionally in New York. Q:What have you liked most about being on tour? Ben: I love experiencing the new cities and getting to try new foods and seeing new places. I also love the people on tour and getting to spend every day with them! Mom: I love watching him on stage! I’m in awe and still cry almost every time! Q:Do you have any advice for other kids that may want to do this? If you love theater, and this applies to any job, if you love it, pursue it as much as you can, don't stop because it's too hard, or because you're tired, it's gonna be awesome in the long run! Q: What’s one of the funniest stories you will bring home with you? Ben: Almost every night in the show, I mess-up a word or forget a line. They are not usually big things. They are small enough that I can laugh at them but nobody else will notice. There are so many stories, from splitting my pants on stage or falling over on my face or blanking out on a line and just screaming for no reason. I have so many stories to tell everyone when I get home! Mom: Once during Sound of Music where he was hired as an understudy to both boy roles (Kurt and Friedrich), I got a call while I was getting my hair done that Ben was spontaneously going on as Kurt because the other child got a nosebleed while on stage! I had to tell the hair stylist to finish up asap so I could RUN to the theater! I was able to see the second half of the show and it was very cool. It was in Las Vegas and I happened to be visiting that week. Later, Ben told me that he was sitting backstage during that show engrossed in the new Harry Potter book. One of the stage managers came up to him and told him to go get dressed. He said “wait hang on” because he was finishing a page but then he realized they needed him to go on stage right away! He couldn’t finish his page! I thought it was so funny. So when people ask him how often he actually performed in Sound of Music, he always says “four and a half” times. Ha! 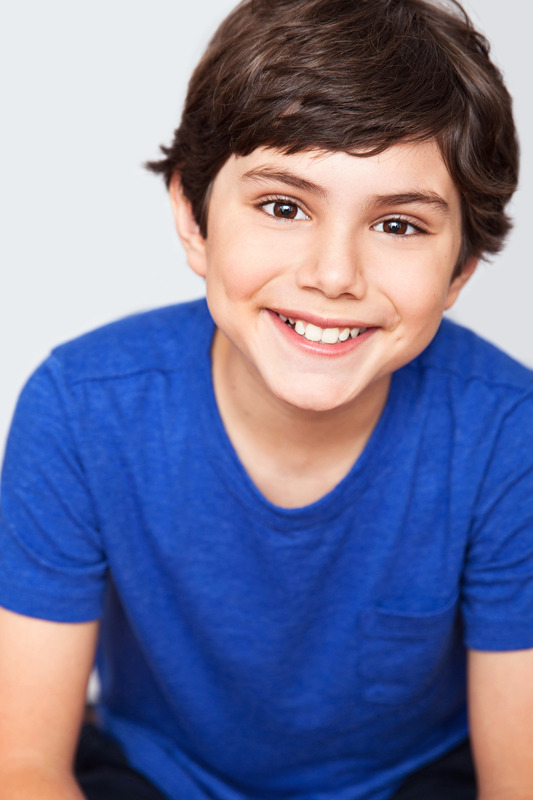 At the ripe old age of 12 (he turns 13 in July), Ben Krieger is well on his way to becoming a Broadway show veteran. The preteen from Palm Beach Gardens already has two national tours under his belt with “Pippin” and “The Sound of Music.” Now, he’s coming back to his home region with the road tour of “Finding Neverland,” which runs June 13-25 at the Broward Center for the Performing Arts in Fort Lauderdale. 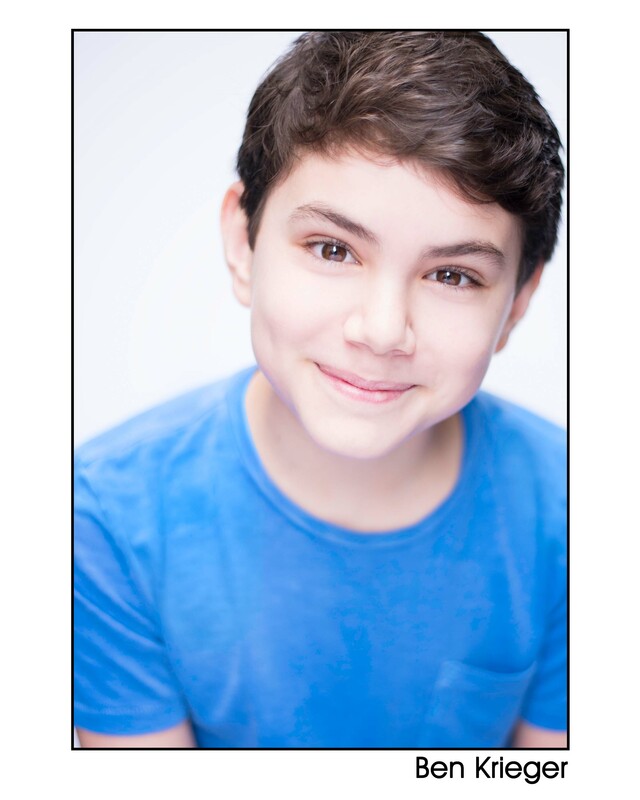 t the ripe old age of 12 (he turns 13 in July), Ben Krieger is well on his way to becoming a Broadway show veteran. The preteen from Palm Beach Gardens already has two national tours under his belt with “Pippin” and “The Sound of Music.” Now, he’s coming back to his home region with the road tour of “Finding Neverland,” which runs June 13-25 at the Broward Center for the Performing Arts in Fort Lauderdale. Kevin Kern and Christine Dwyer to Think Happy Thoughts in FINDING NEVERLAND National Tour; Cast Announced!Kevin Kern and Christine Dwyer to Think Happy Thoughts in FINDING NEVERLAND National Tour; Cast Announced! Finding Neverland, the enchanting Broadway musical set to soar on tour this fall, began rehearsals under the visionary direction of Tony Award-winner Diane Paulus. The cast is led by Kevin Kern (Bridges of Madison County, Wicked) and Christine Dwyer (Wicked, Rent), with Tom Hewitt (Jesus Christ Superstar, Chicago), Joanna Glushak (A Gentleman's Guide to Love & Murder, After the Night and the Music), Jordan Cole, Finn Faulconer, Ben Krieger, Jacob Morrell, Gregory Trechel, and Mitchell Wray. The ensemble includes Cameron Bond, Sarah Charles, Adrianne Chu, Calvin Cooper, Dwelvan David, Josh Drake, Victoria Huston-Elem, Crystal Kellogg, Melissa Hunter McCann, Connor McRory, Thomas Miller, Courtney Ortiz, Noah Plomgren, Matthew Quinn, Corey Rives, Dee Tomasetta, Lael Van Keuren, and Matt Wolpe. ​Visit my Facebook, Instagram or YouTube by clicking the links to the right! Direct Contact: Tracie Krieger traciekrieger@me.com.